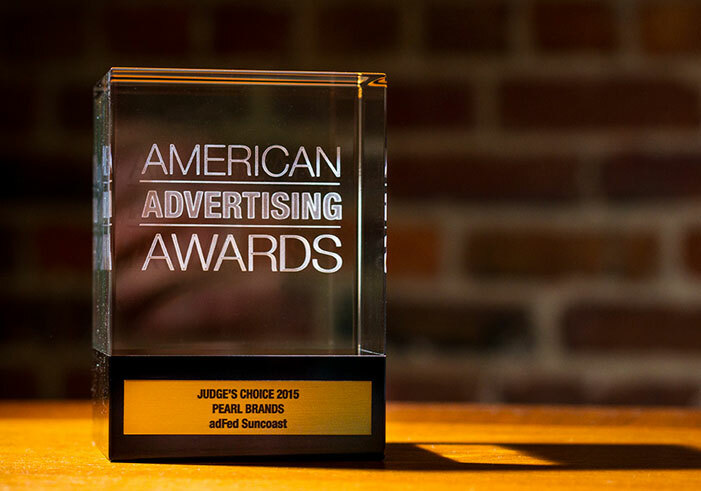 FORT MYERS, FL — Pearl Brands won 13 awards including 4 Gold, 3 Best of Category Amys and the Judge’s Choice at Thursday’s American Advertising Awards hosted by adFed Suncoast in Sarasota, announced agency owner, Scott Qurollo. The wins make Pearl Brands the winningest Southwest Florida agency at this year’s show. The American Advertising Awards (formerly known as The ADDYs) are sponsored by the American Advertising Federation to recognize and reward the creative spirit of excellence in the art of advertising. Pearl Brands is an award-winning, strategically-focused creative agency located at 1635 Hendry Street in Fort Myers, FL (a.k.a. The Oyster). It provides creative services, digital production, brand planning and other marketing communications services for a wide range of clients.